Kurt Buschstarted first and finished seventh to earn four bonus points. Busch started on the pole and led the first 25 laps until the competition caution. Busch said the car was good but a little tight. The No. 41 Monster Energy/Haas Automation Ford Fusion pitted on lap 27 for right-side tires, fuel and a tire pressure adjustment. He came out in the first position. Ryan Blaney passed Busch for the lead on lap 47. Started 10thand finished third to earn eight bonus points. Busch pitted on lap 62 for four tires, fuel and a wedge and tire pressure adjustment. Busch pitted on lap 87 for right-side tires and fuel and came out in third place. Started fourth and finished third. The No. 41 Monster Energy/Haas Automation Ford Fusion pitted on lap 122 for four tires and fuel. 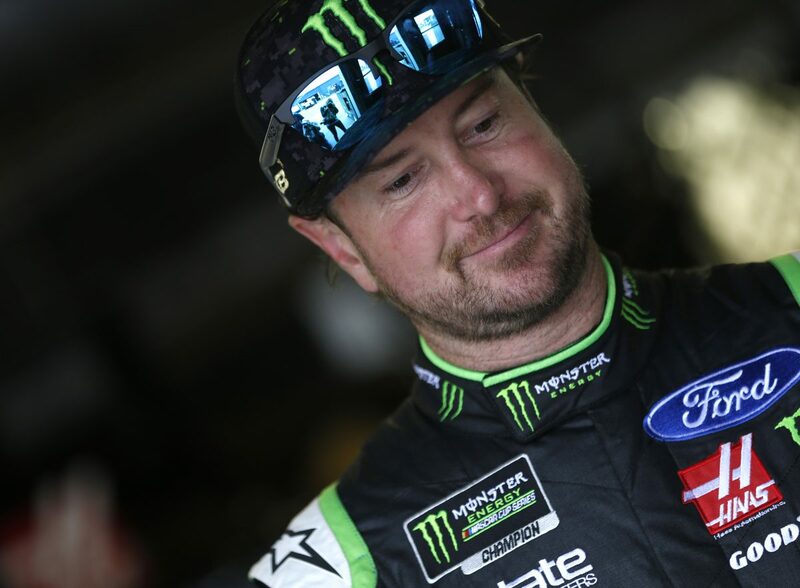 Busch worked his way up to third place and finished behind two of his Stewart-Hass Racing (SHR) teammates, winner Clint Bowyer and second-place Kevin Harvick. Rain began falling after lap 133, and the race was ended 67 laps before the scheduled 200. This was Busch’s third top-five of 2018. Busch earned his sixth top-five in 34 career NASCAR Cup Series starts at Michigan. Busch finished seventh in Stage 1 to earn four bonus points and third in Stage 2 to earn eight bonus points. Busch led the first 46 laps to increase his laps-led total at Michigan to 494. The FireKeepers Casino 400 was completed under caution, with rain ending the race after 133 of its scheduled 200 laps. Clint Bowyer’s victory in the FireKeepers Casino 400 marked the 51stoverall win for Stewart-Haas Racing (SHR). It was the organization’s 46thpoints-paying Monster Energy NASCAR Cup Series win and its second at Michigan. Sunday’s win marked SHR’s seventh victory in the first 15 races of the 2018 season. Harvick finished second and Busch came home third to secure the first 1-2-3 finish in SHR history.